Saul ARNOW in a clip from a Freakonomics Radio episode: Dear Freakonomics, I was wondering why sugar isn’t considered a drug even though it is addictive and stimulates the brain. Nathan CORROY in a clip from a Freakonomics Radio episode: Certainly in the Milwaukee area, for the past few years, there’s been reports of violence always coming up in the news at Chuck E. Cheese locations. There’s another way you guys are involved, besides sending us ideas. You send us money! Our producing partner, WNYC, is a public radio station whose business model relies on listener support. You can do your part at Freakonomics.com/donate or by texting the word “freak” to 698-66. The best kind of listener support is when you becoming a Sustaining Member — that is, you make a regular monthly donation. The average member gives $7 a month. That’s not too steep, is it? In return, you’ll get some Freakonomics Radio swag and we’ll keep you in the loop with our newsletter. Even better, a generous partner of WNYC’s, the Tow Foundation, has issued a challenge: if 500 Freakonomics Radio listeners sign up by June 30th to become members at just $7 a month, the Tow Foundation will contribute an extra $25,000. So let’s make it rain, shall we? Do it right now. I’ll wait … All right? Okay: thanks. Today on Freakonomics Radio, the story of a man who’s quite famous in his native England. Cathy NEWMAN in a clip from ITN’s Channel 4 News: Steve Hilton, you’ve talked about democracy malfunctioning. Steve HILTON: I actually met these fancy people! Who became close friends with and, ultimately, senior advisor to prime minister David Cameron. HILTON: I was responsible for the implementation of our domestic policy reform program. A man who became disillusioned with his position. HILTON: What typically happens in government is the exact opposite of how things should work. Who became disillusioned with his boss. HILTON: We wanted him to make this speech and he always agreed. He said, “Yes, good idea. We’ll do it. We’ll do it.” He never made that speech! And who, after two years in 10 Downing Street, left his job. HILTON: Looking back on it that’s because I wasn’t doing my job properly. He decamped to California, with his family. HILTON: And I didn’t have anything planned for my next move. But now he’s found a new political mission. It’s a mission that includes a new TV talk show. HILTON: I’d love to have Bernie Sanders and Donald Trump together. How amazing would that be? It’s the story of a man who sided against his old friend and boss in the biggest vote of all. HILTON: We haven’t been in touch since the Brexit vote. I think there’s not much to say beyond that. A man whose life has regularly intersected with unwanted attention. HILTON: You’re getting very Daily Mail at this point. I’m not sure this is the tone of the conversation that we should be having. Let’s have it anyway. Steve Hilton, the most famous political operative in America that no one in America knows about — not yet, at least. When David Cameron became prime minister of the United Kingdom in 2010, his administration adopted two primary missions. No. 1: drag Britain out of the worst economic ditch since the Great Depression. And No. 2: change what his Conservative Party — and, really, all of government — change what it stood for, especially in its interactions with actual people. The fiscal mission was largely the purview of George Osborne, Cameron’s chancellor of the exchequer. And it was Steve Hilton, an iconoclastic former ad man, who steered Mission No. 2. Hilton essentially wanted to decentralize central government, from within central government. Some of his wishes were in line with what Americans think of as conservatism — fewer regulations and top-down government directives; reforming welfare and privatizing some public services. But on social issues, and things like energy and the environment, Hilton — like David Cameron — was a progressive. The implicit promise? Smarter, smaller government with cleaner, greener, and kinder results — a very “you-can-have-it-all” package. Alas, much of Britain was having none of it — either within Whitehall or beyond. The Cameron Administration had its share of victories, but it was seen as veering between new-age spin doctoring and old-fashioned government tone deafness. HILTON: I found it massively, intensely frustrating most of the time. When I reflect on it, I think that most of that was my fault in the sense that I approached it in exactly the wrong way. To understand what Hilton now considers the right way, we should start at the beginning. HILTON: Yeah. My parents are Hungarian. My father passed away many years ago. The interesting thing about him was he was the goalkeeper for the Hungarian national ice hockey team. HILTON: Yes. He was a big sports star in Hungary. He met my mom in the U.K. but they split up. My stepfather is also Hungarian so my whole family background is from Hungary. DUBNER: You’re named for your stepfather or your father? Hilton comes from Hircsák, is it? HILTON: Hircsák. Yes, very good research you’ve got going on there. Yes. DUBNER: We try. But that’s your biological father’s name or your stepfather’s name? HILTON: My biological father’s name and then they made [it] easier to say by picking Hilton. DUBNER: I understand it’s apocryphal that the name was chosen for the first hotel that they stayed at upon arrival. HILTON: Yes. That’s not true. I don’t they could have afforded it. DUBNER: You grew up in the London area then? HILTON: For the first couple of years, but I really grew up in a town called Brighton on the southwest of England. DUBNER: Talk about growing up there and then your schooling. I understand you did well at an [early] level and won a scholarship to a very good school. HILTON: It’s an amazing school called Christ’s Hospital. It’s a charity. Most of the kids there don’t pay any fees — it’s sort of a charitable foundation — and, in fact, are selected on the basis of some kind of social need, so from inner-city areas of various kinds. Actually, it’s a weird institution because it’s a boarding school in the middle of the English countryside — as far removed as you could imagine from the inner city — and yet it’s got incredibly diverse kids from all different backgrounds and races and colors, all just mixed together, all wearing this very weird uniform that dates back to the 16th century. It’s just totally bizarre. DUBNER: You went on to Oxford, which was probably a little bit less diverse. HILTON: Well, I’ll tell you what was diverse for me about it was that I met rich people for the first time. And that was really interesting for me. At Oxford, Hilton enrolled in the famous PPE program — philosophy, politics, and economics — the foundation of many political careers. Indeed, future Conservative Party heavyweights David Cameron and Boris Johnson were there, a few years ahead of Hilton. But he didn’t meet them there. Here’s how Hilton got involved in the Conservative Party. One summer during university he had such a boring job, shuffling around insurance files, that he applied for a different job he saw advertised on television. HILTON: In the U.K. you don’t have political advertising. You have these things called ‘party political broadcasts‘ where the political parties get free airtime on the main channels. I remember catching one and at the end there was a very posh guy who was the chairman of the Conservative Party. I remember him saying at the end, “If you want to help the Conservative Party, write to me, Peter Brook.” I really remember it. This must have been about 30 years ago. “Write to me, Peter Brook, at Conservative Central Office.” I thought, “Maybe they have some interesting jobs.” That’s how I got into that. It was completely accidental. DUBNER: I see. This was the Conservative Central Office, it’s called? Is that right? HILTON: Yeah. I think they now call it something else, conservative headquarters or whatever. It’s the party headquarters. DUBNER: So you basically land this job via the equivalent of what we would think of here as [an] advertisement on a matchbook, right? In that job, you meet David Cameron — the future prime minister, your future colleague and boss — and your future wife Rachel Whetstone. Is that right? DUBNER: Then there would be many entanglements, among them the fact that you and Rachel eventually would become godfather to [Cameron] and his wife’s first child, who tragically died very young. DUBNER: David Cameron would become godfather to one of your children, if I have it right. DUBNER: And there are other entanglements along the way, including, before you were married, that your future wife had an affair with David Cameron’s father-in-law? I’m getting this right as well? HILTON: Yeah, you’re getting very Daily Mail at this point. HILTON: I’m not sure this is the tone of the conversation that we should be having. DUBNER: Now, she comes from what sounds to be an interesting family. Her parents were involved in politics. I understand that Milton Friedman and F.A. Hayek would have dinner at her parents’ home. I don’t know if that’s true but I’m curious to know a little bit about her background. HILTON: I think that is true. Yeah, her grandfather — I’m probably going to get shot for getting this wrong but — I think the story is that he was a Air Force pilot in the Second World War and came back and also was a businessman. But I think he was the person that brought industrialized chicken farming to the U.K., or something like that, after having seen it America. DUBNER: Interesting. And you now keep chickens in your backyard, don’t you? DUBNER: Although, you’ve de-industrialized the chicken process. 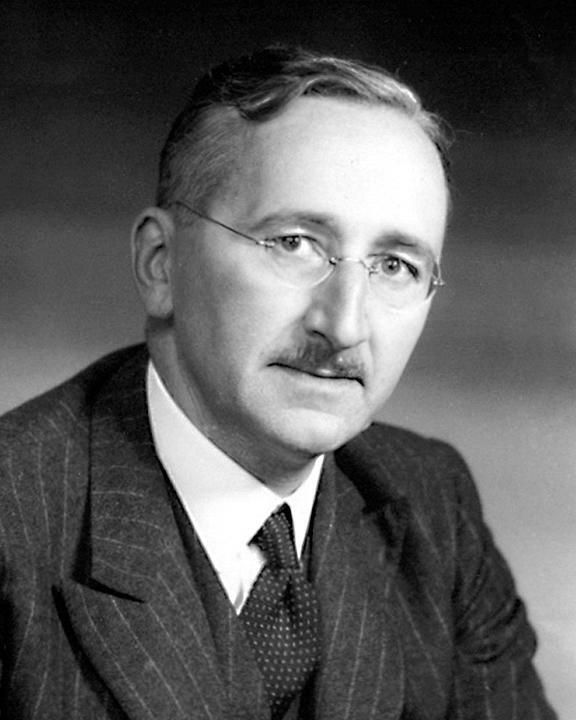 Hayek said to him, “If you want to change things, don’t do that because the first thing you have to do is win the battle of ideas. Don’t go into Parliament. The better use of your time, money and effort will be to set up a think tank.” That’s exactly what he did. And so Rachel’s grandfather set up the Institute of Economic Affairs, which became the powerhouse think tank for free market thinking in the U.K. and around the world and incubated a lot of the ideas that Margaret Thatcher adopted and implemented as prime minister. Even though Hilton is talking here about his wife’s grandfather, he could be talking about himself. He has come to believe that industrialization and institutionalism — especially as they intersect with government — are, essentially, a drag on humankind. He recently wrote a book about this; it’s called More Human. “We have designed and built a world that is inhuman,” he writes. “In governments the world over, political leaders … preside, frustrated and impotent, over vast bureaucratic systems that routinely disappoint and leave citizens enraged that they can’t control what affects their lives.” He complains that our food, our education, our healthcare are, quote, “provided by anonymous, distant, industrialized machines.” Now how did he come to hold these views? HILTON: Straight out of college, I worked at the Conservative Party but that was just a couple of years. Then I left and worked at an ad agency, Saatchi and Saatchi, where, amongst other things, I learnt business, did a lot of elections and public-advocacy campaigns around the world, including an anti-racism campaign in the U.K. that gave me the idea for my next move: to start a company called Good Business which was a corporate responsibility consulting firm. That lasted another seven or eight years. HILTON: There we worked for some of the biggest companies in the world, trying to advise them on how to improve their social and environmental impact. And that intersection between business, social, community issues and environmental issues informed a lot of what I then tried to bring to the project of modernizing the British Conservative Party. Hilton’s reentry into Conservative politics came in 2005. He wanted to run for Parliament but lost out in the selection process. He was, however, offered a job by his old friend David Cameron, now in his late 30s. Cameron was a Member of Parliament — with designs on being elected leader of the Conservative Party. HILTON: We ran this great insurgent campaign based on his character, his optimism and sense that you could put together a positive account of what conservatism ought to represent in the modern age: understanding the problems of today but applying conservative solutions. Cameron won that contest and of course the larger one, five years later, to serve as Prime Minister. Hilton was central to these victories and became perhaps even more central once Cameron moved into Downing Street. DUBNER: You personally, Steve Hilton, became known — at least in the media — as a figure that’s not so uncommon in American politics as well, but maybe more pronounced. You were considered brilliant, occasionally devious, plenty of enemies. You spoke your mind. You did not stand on protocol. You liked to not wear shoes. You liked to not dress up the way that most government officials and aides typically dress up and behave. And you seemed to have — I mean this to sound positive — a ruthlessness for accomplishing an agenda. Talk about what those first couple of years being in the administration were like, what you felt was going well and what you felt wasn’t going well. HILTON: What went well was the leadership that David Cameron provided in terms of stabilizing the economy. At the time he took office the country was in a dire predicament and people were incredibly anxious about what would happen. Pretty quickly, he established this sense of orderly calm over the situation and achieved, in a way, his main goal, which [was] to give the country responsible stewardship. That’s what he mainly saw the job as being and he absolutely delivered on that. DUBNER: Did you enjoy those first couple of years? HILTON: Look, I’m not sure I’d choose the word ‘enjoy.’ It’s incredibly hard work and incredibly frustrating. It’s an amazing privilege and honor. I know that sounds like a bit of a cliché, but it really is; just to have that opportunity to work on problems that are real and try make a difference in people’s lives. One of the best, actually, was something that we introduced called National Citizen Service and the idea of that was a nonmilitary national service for teenagers to try and create a sense of community, cohesion, and social mixing; bring people together from different backgrounds and also a bit of personal development. That’s a specific thing where I can say, “That was something that I conceived with David Cameron right at the beginning and saw to its implementation.” That’s obviously very rewarding. National Citizen Service was a quintessential Hilton idea — that is, government using its leverage to throw some organizational mojo back to its citizenry. It was part of a grand vision he came to call Big Society. Cameron fully embraced the idea. David CAMERON in a clip from the House of Commons Liaison Committee: The idea of the Big Society is to help individuals and communities and voluntary bodies to come together and find solutions to the problems that we have so that’s the big idea. You’re looking for Big Society answers rather than Big State answers. Among the cornerstones of Big Society: more power to local communities and institutions, including government and police. More volunteerism, and support for all kinds of co-ops and social enterprises. A push to make government radically transparent by publishing more data. On paper, and in Hilton’s mind, the phrase “Big Society” was a winner. But to the opposition, and the press, it was a touch too Orwellian. HILTON: And then it became the subject of a political argument, back and forth. Perception wasn’t the only issue. There was also the need to execute. HILTON: What typically happens in government is the exact opposite of how things should work. Instead of starting with real people, their needs, understanding how their lives work and putting together programs that are in in touch with that and work with that, you go in, you’re in a hurry, you want to make change happen. You’re sitting at the Central Office with the levers of power and you want to steamroll your way through. That usually ends in a massive waste of money and disappointing outcomes. That is the story of every government, it seems to me, regardless of their political persuasion. There’s a lot to learn. Hilton came to be seen as a bit of a hypocrite — talking up “power to the people” from within the ultimate corridor of power. It didn’t help that he usually kept himself way out of public view. HILTON: All that stuff. During that time there was a lot of misunderstanding. I tell you what, there was a portrayal of me on one of these TV shows. Is it The Thick of It? I can’t remember. DUBNER: Yeah, The Thick of It. Vincent FRANKLIN as Stewart Pearson in a clip from The Thick of It: I spent ten years detoxifying this party. It’s been a little bit like renovating an old, old house. Yeah? You can take out a sexist beam here, a callous window there, replace the homophobic roof tile, but after awhile you realize that this renovation is doomed. Because the foundations are built on what I can only describe as a solid bed of c****. HILTON: It’s funny. I get it. I laughed. But the thing that was wrong about that was that that character was almost entirely focused on presentation and whatever. I think for a long time that was how I was seen, rather than actually what I care about. Among the policies Hilton cared most about: whether Britain would stay part of the European Union. Coming up on Freakonomics Radio: his harsh difference with Cameron on that issue. HILTON: I saw Brexit as an opportunity for the U.K. to be a dynamic, open, pro-enterprise country engaged with the whole world. Also, don’t forget about the listener challenge we have going on. If 500 of you become sustaining members of WNYC by June 30th, the Tow Foundation will kick in an extra $25,000. Go to Freakonomics.com/donate or text the word “freak” to 698-66. Thanks. We’re speaking today with Steve Hilton, the former chief strategist for British Prime Minister David Cameron. What’s he doing now? HILTON: I am the CEO and co-founder of CrowdPac, which is a political tech startup based in California. I’m also the host of a new show on Fox News on Sunday evenings called The Next Revolution that is going to focus on what I’m calling ‘positive populism’: how we deal with the issues that have arisen as a result of the populist uprisings we’ve seen around the world — particularly in the U.K. with Brexit and here in America with Donald Trump’s election — in a positive way. Talking to Hilton, you begin to sense that these populist views on government aren’t so different from his own views — although his really intensified while serving in Downing Street. DUBNER: You left Number 10 after a couple of years, moved to California with your family. According to The Washington Post at least, you left Downing Street quote, “After becoming disillusioned with Cameron’s progress and the lack of boldness.” I have no idea if that’s true or not. Why don’t you tell us? HILTON: The immediate reason was a family one in the sense that Rachel, my wife, was head of government relations and PR for Google. She was commuting a lot to London to California, which is pretty tough. Once our second son was born, we decided to move. That was the immediate reason. But frankly, that description that you read out is correct. But if I look back on it, it was my fault in the sense that I hadn’t figured out how to deliver for David Cameron the revolution that we had promised and to actually do that in a way that worked with the institutions and the bureaucracy that we inherited rather than relentlessly attack them. That’s my fault. I definitely felt disillusioned at the time. Hilton and his wife, Rachel Whetstone, had been a very high-profile power couple in England. In California? Not so much. HILTON: We love it here. I love California. It’s the best place in the world. Whetstone was head of communications and public policy at Google for several years, then left for a similar position at Uber. But she left that job, quite abruptly, and it was revealed soon after that a British watchdog agency was investigating whether her old friend David Cameron had improperly lobbied on Uber’s behalf. Hilton, meanwhile, had met some people at Stanford. HILTON: From that arose the opportunity to teach there in various parts of the university and most importantly at a place called the d.school. The ‘d’ stands for design. It’s the Institute of Design at Stanford. That was, for me, a transformational experience. Transformational — but also bittersweet. HILTON: If I’d have had the benefit of that experience before I had the privilege of working in government, I would have been a hundred times more effective. Because if we adopted in the government what’s taught at the d.school, human-centered design or design thinking– it’s really simple. You start any project with an intense focus on the user. Who are you designing for? Who is supposed to benefit from this? Let’s understand their lives. Then you generate some ideas and before you do anything, you test them out. You turn them into a very cheap prototype that enables you to get feedback before you go to the expense of building anything. If [the] parallel is in government, before you actually start spending real money on implementing a program, you actually test it out with people, get reactions. That process of rapid, low-cost prototyping and testing is absent from the way government operates. If that was present, I believe you would save so much wasted money and have so much more effective government programs. DUBNER: Where the parallel between designing consumer products and designing policy seems to break down is the following: when you’re a firm trying to come up with the right product for your consumers or your eventual consumers, you can do that in your garage without a lot of scrutiny. When you’re doing it in government, you have intense and constant scrutiny both from the opposition party or parties and the media. Which makes it harder to do things like rapid prototyping and experimenting because you’re always worried about the reductive form of your idea getting released to the media, being ridiculed or being shot down by someone else. Talk to me for a minute about whether you think that model can work as well in society and politics as it can for something like designing, whether it’s user experiences for a company like Uber or Google, or something else. HILTON: Government can do this, can start to work out how better to address some of these problems in a very small and low-key way literally with a couple of hundred people. You don’t need to spend a fortune on some big pilot program that’s announced in the media and then scrutinized. But there’s another point I want to make. You’re so right about the way that the media climate — which is inevitable, by the way, I’m not complaining, it’s just a fact of life — means that politicians and government officials are really risk-averse when it comes to trying to bring forward innovations or even let experiments happen that you can learn from. One of the things that that needs to happen is to try and change that culture. I remember when, for years in the run-up to the 2010 general election, we tried to persuade David Cameron to make a speech where he would explicitly say, “Here’s our agenda for reform. It includes trying lots of new things out, innovations that will bring forward new ways of dealing with problems. Inevitably, when we do that, things will go wrong. There will be a failures as well as successes.” We wanted him to make this speech to set up the fact and to give ourselves space for that experimentation. He always agreed. He said, “Yes, good idea. We’ll do that.” He never made that speech! DUBNER: I can see why you wanted him to do it and I can also see why it would be hard for him to do. HILTON: Of course. There’s real risk aversion. You’re not going to get the innovation that you need to solve some of these intractable problems that have been around for decades and don’t seem to be getting any better. DUBNER: Let me ask you this: [in] your book, you address all the major realms — politics, governance, healthcare, education, the food system and so on. You make the argument that they’ve all become too inhuman. We’re too distanced from the production of things, the bosses are too distant from what their workers are doing, that consumers are too distant from what producers are doing, and so on. The central paradox, it strikes me, is that the way you talk about something being inhuman is often as a synonym, essentially, for being large. When institutions become large. that’s what happens to them. I wonder if you could talk about that paradox for a moment. When you have systems and institutions, including governments, inevitably there are many layers. There’s bureaucracy, which seems to be your chief villain. How can you have both? You don’t want to get rid of 90 percent of the people on earth and go small-scale. That would be a little bit cruel. How can you have both? HILTON: That’s a great analysis and what you described is exactly right in the sense that, if I was to say, “What is the theme that ties together the lack of humanity in the way government operates and the way businesses operate in the private sector and the economy and social institutions?” The thing that I keep coming back to is that we’ve seen, over the last few decades, far too great a concentration of power both in government — where it’s been progressively removed from local institutions and going more and more to central institutions at the national level and even at the international level, with institutions like the E.U. — but also in the economy, where you see the way that the companies have merged, acquired and got bigger and bigger. Then you end up with these rootless global entities that in many ways do great work. I’m very much a pro-business person. But the way that they’ve become so big and the power so concentrated operates against the public interest and the individual interest. We need to break up this concentration of power. Now, I don’t present it as the absolute answer to every single problem. But in the economy, for example, we need a far greater, much more aggressive antitrust policy like we used to have many years ago. Over the last few decades it’s got completely blown apart. In government, we need to decentralize power. Let’s see how we can try to make the default unit of governance the neighborhood, where people actually know each other and can relate to each other in human ways. Let’s see if we can really decentralize in a very radical way so that people feel that they’re in control of the stuff that really matters to them. HILTON: … is to democratize politics, to give politics back to people, to make it easier for anyone to participate in politics, particularly on the financial side of that. We want to end the way that big money donors dominate politics, the way that the party infrastructure means that it’s very hard to run for office independently if you’re not part of the establishment and the party system and prepared to take the money from the big donors. We want to change all that and make it easier for anyone to raise money, support candidates that they believe in, run for office participate in politics, organize, get involved without the traditional ways of doing that. We’re trying to open it all up. CrowdPac’s non-partisan platform seems designed to foster a new, less agitated form of populism than we’ve seen in politics the last few years. The sort of populism that led to the stunning Brexit vote last year. HILTON: I was always in favor of leaving the European Union. I did actually argue for that to be our policy. Why was Hilton in favor of Brexit? HILTON: To me it’s a consistent application of what I’ve always believed. [It] is a bit of a cliché but the phrase would be “people power,” that people should have more control of the decisions that affect them. One of the big things that’s gone wrong is the centralization of power. The E.U. is a great example of that. There were so many things that we came up against when we’re trying to run domestic policy in the U.K., where they said. “You can’t do that because the E.U. rules or directives stop you from doing it,” in all sorts of areas where there’s no need for that to be a centralized function. In many ways, the position of a member state of the E.U. is it has less autonomy than a state within the U.S.A. has. But the difference is at least in America — everyone complains about Washington, the federal government — but at least the president is elected. At least Congress is elected. In the E.U. situation, you’ve got a centralized bureaucracy that is driving policy. People point to the European Parliament and so on and the fact that representatives of elected governments sit on the council of ministers that make decisions. That’s all true. But the driving force of policy initiation in the E.U. is the European Commission, which is an appointed body. To me, there’s a fundamental objection there, which is this is not democratic. That means it is wrong — even if the outcomes may from time to time be good. It doesn’t matter. It’s not democratic. It’s wrong. I’m all in favor of a single market, which was the initial idea that Britain signed up to. That’s good and helpful. But when it turns into, as it has, a move towards a European government, but one that is not democratically accountable, then I can’t support that regardless of its actual impact because I object to it on principle. They want a United States of Europe run from Brussels. Britain doesn’t. Therefore, you’ve got to accept that reality and leave. It was David Cameron who called for a Brexit vote to be put to the British people; but he urged them to vote against it. CAMERON in a clip from The Guardian: I believe we are stronger, safer and better off inside a reformed European Union. That is why I will be campaigning with all my heart and soul to persuade the British people to remain. As we all know, Britain voted for Brexit; Cameron summarily stepped down as prime minister. DUBNER: You came out in favor of Brexit during the referendum. From what I understand, the relationship between the two of you was, to some, degree fractured. What’s this shape and state of your relationship with David Cameron now? HILTON: Well, we haven’t been in touch since the Brexit vote. I think there’s not much to say beyond that. DUBNER: Yeah. Do you wish that you had consulted him differently or stood against him differently? HILTON: No. I said what I believe and it was very different. It was a campaign and I had a pretty minor role in it. DUBNER: Although, somehow, you being the British, the former government guy living in the States and coming back seemed as though the British media treated you, treated your voice as more significant than the people who’d been there all along. Maybe it was that you felt it important enough to come back to talk about it somehow. But it seemed as though your voice carried an awful lot of weight in that debate. Don’t you think? HILTON: I’ll tell you what I was hoping to do: put forward what, to a certain extent, had been missing from the debate, which is a positive optimistic argument for Brexit. Not the, “We don’t want foreigners here; we don’t want any immigration.” That’s the exact opposite. I saw Brexit as an opportunity for the U.K. to be more open to the whole of the world, not just the countries on the UK’s doorstep. To be a dynamic, open, pro-enterprise country engaged with the whole world, a globally-engaged Britain. Not just a Europe-wide set of engagements. I wanted to make that positive argument because I felt that wasn’t being heard in the campaign enough. There were some damaging ideas floated, which thankfully haven’t been implemented. But one in particular that I reacted very negatively to which was the idea of forcing British companies to make lists of foreign workers and publishing them. That thing is the direct opposite of what I thought Brexit ought to have been all about. DUBNER: You wound up supporting Donald Trump in the 2016 election. You’ve spoken admiringly of Bernie Sanders. Had Sanders been the Democratic candidate who would you have supported? HILTON: I want to make something clear. I know it sounds like a bit of a semantic distinction, but I think it’s an important one: I would never describe myself as supporting Trump. The way I used to put it was that I supported his supporters, in the sense that I thought he articulated the problems that were affecting a big part of the American population that had been ignored for too long. I thought that was a useful service. I also thought then and think now that some of the specific things that he was arguing for are the right solutions to some of those policies. But I never thought that he had, if you like, a clear agenda for solving the problems that he correctly identified. But, as you say, I also thought Bernie Sanders did a great job of that. Together, those two candidates shined a spotlight on problems that had been hidden for too long. DUBNER: Yeah. Had Sanders been the Democratic candidate would you have gotten behind him? DUBNER: More firmly than Trump on the Republican side? HILTON: Look, it’s difficult because I run a business that is nonpartisan. Any intervention in politics at all is tricky. And so I don’t think I would have gotten involved personally too directly. But Bernie Sanders, from the minute that he launched his campaign, I thought, “He’s talking exactly the right language and knows what’s going on in this country.” I had a lot of sympathy for much of what he said. I’m strongly of the view that the systems that we have are completely broken. It’s the structures of the party system and particularly the financing of all of that that mean that when people are elected to office — particularly at the federal level, and you see this in Congress — they’re so trapped by the way that they got there, by the commitments they’ve made along the way, to raise money, to play the party game. They find it difficult to actually break free of that and work together as people want to see, to do pragmatic solutions to the very real problems we have. DUBNER: Reading your book and knowing that you’re launching this TV show, I would be foolish not to at least entertain the thought that you may want to run for office someday. Do you? HILTON: Look, if I had stayed in the U.K., I probably would have done that already. Basically, yes. I don’t have a specific plan to do that, but I don’t want to dodge your question. DUBNER: You can be anything but President here. You know that. HILTON: Okay, very nice. I have no idea what that looks like yet. I don’t know when, how, where. There’s no plan. DUBNER: Now that you’ve crossed over at least once a week into the Fourth Estate — or something resembling the Fourth Estate — with your new show, I’m curious to know who your first landmark guests will be? Do we see, for instance, Bernie Sanders and Donald Trump on your show perhaps together? Do we see your old boss David Cameron on your show? HILTON: I’d love to have Bernie Sanders and Donald Trump together. How amazing would that be? I’d love to focus on the areas that they agree about and see if we can put together a plan for positive populism. I definitely want to avoid, if I can, the predictable argy bargy back-and-forth yelling at each other. Look, partisans love that and it’s entertaining. DUBNER:That’s what they’re paid to do and that’s what they’re trained to do. HILTON: Yes, exactly. That’s fine. But look, once a week, just for an hour, can we please have something a little bit more constructive and positive? Jennifer DOUDNA: At its core the CRISPR gene-editing technology is now giving human beings the opportunity to change the course of evolution. Yes, there’s room for optimism on this too — but, obviously, tons of caution. Dalton CONLEY: Phenotypes are for hookups but genotype is forever. DOUDNA: And I realized with this horror. I can feel it right now as I’m telling you the story, I feel this chill in my body. I realized that it was Adolf Hitler. The science, the economics, even the ethics of the gene-editing revolution. That’s next time, on Freakonomics Radio. Freakonomics Radio is produced by WNYC Studios and Dubner Productions. This episode was produced by Greg Rosalsky. Our staff also includes Shelley Lewis, Christopher Werth, Merritt Jacob, Stephanie Tam, Eliza Lambert, Alison Hockenberry, Emma Morgenstern, Harry Huggins, and Brian Gutierrez. You can subscribe to Freakonomics Radio on Apple Podcasts, Stitcher, or wherever you get your podcasts. You can subscribe to Freakonomics Radio on Apple Podcasts, Stitcher, or wherever you get your podcasts. 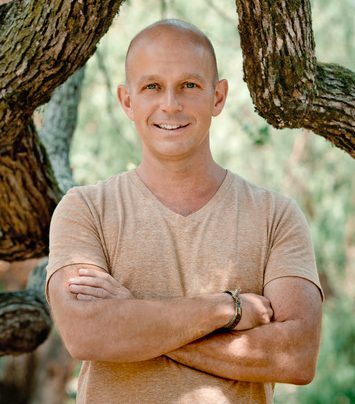 Steve Hilton, host of The Next Revolution; CEO and co-founder of CrowdPac. Good Business by Steve Hilton (Texere 2002). “The Government has Lost its Ultimate Radical,” J.G., The Economist (March 2, 2012). More Human by Steve Hilton (PublicAffairs 2016). “Steve Hilton, a Brit Out to Disrupt American Politics with Crowdpac,” Sebastian Payne, The Washington Post (September 3, 2014). “The Man Who Would Be Everything,” Freakonomics Radio (2014). The Next Revolution (Fox News). The Road to Serfdom by Friedrich Hayek (University of Chicago Press 1944). The Thick of It (BBC, created by Armando Iannucci). Next Post »Why Is My Life So Hard?